Изменения: * Minor bugs have been fixed successfully; * More robust and highly interactive graphical user-interface; * Automatic updates via email notifications; etc. 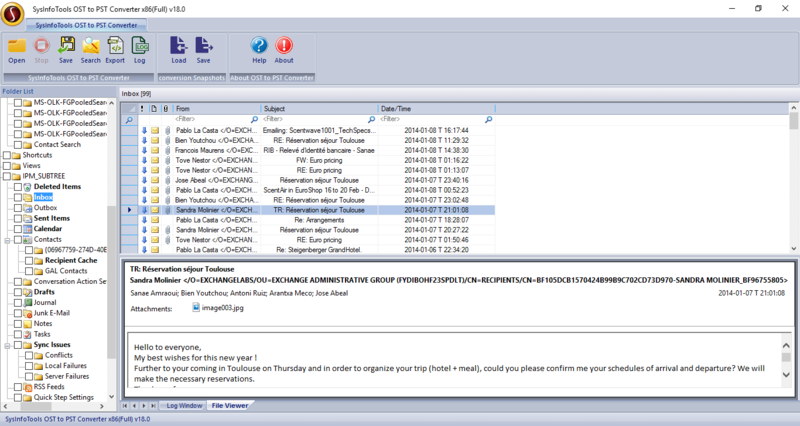 Пресса: OST to PST Converter software has been updated with more robust and interactive GUI. The trial version of SysInfoTools OST to PST Converter software is available online and freely distributed over the Internet in an uncharged and unchanged form. SysInfoTools OST to PST Converter Copyright by SysInfoTools Data Recovery. Your Agreement to this License You should carefully read the following terms and conditions before using, installing or distributing this software, unless you have a different license agreement signed by SysInfoTools Data Recovery.